April is Bonus Month with iGive! $5 extra will be donated when new members try the iGive button on our donate page! 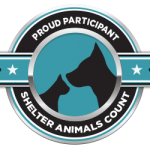 Our mission is to save the lives of the abandoned, injured and sick PETS of Tehama County that would not thrive in a shelter situation. We provide immediate medical attention and treatment. Once healthy and old enough they are spayed or neutered. Once rehabilitated we are dedicated to finding their forever homes that they so DESERVE. © 2019 Deserving Pets Rescue. All Rights Reserved.